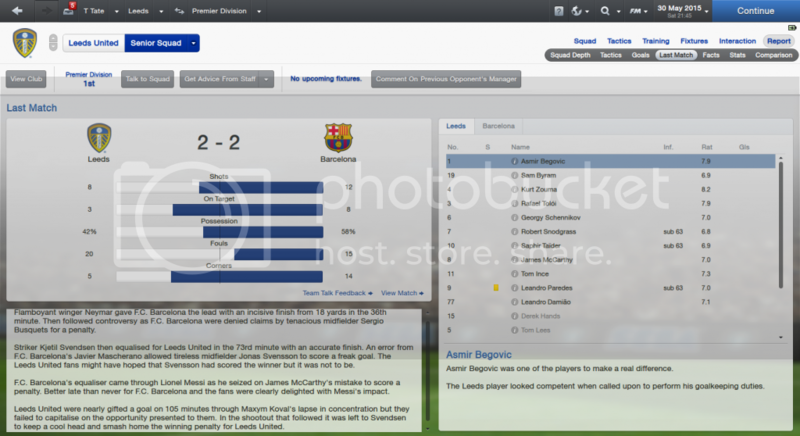 As the stats show I don't really have the better of Barcelona yet, but I beat them in the Super Cup as well. They did come out on top of our Champions League group though. 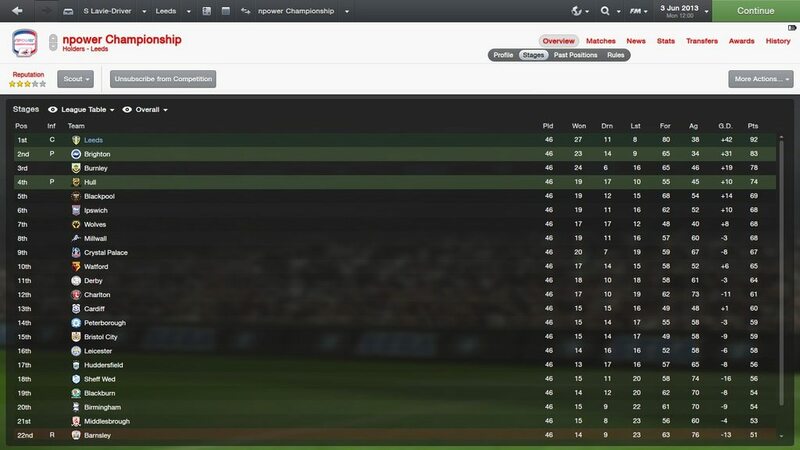 In the league I benefitted from Man City falling away - in fact January saw Man City drop from 1 point ahead to 8 points behind, so I got away with a couple of poor performances later in the season, and still lifted the title. As you can see, my heavy investment last Summer paid off, as my £20m defender had my highest rating, and my £40m striker was my highest scorer, and topped the assists also - as well as winning English Player Of The Year and European Golden Boot. My season could have been great, but it all fell apart in the last 3 games It was a good season though, but ultimately disappointing. 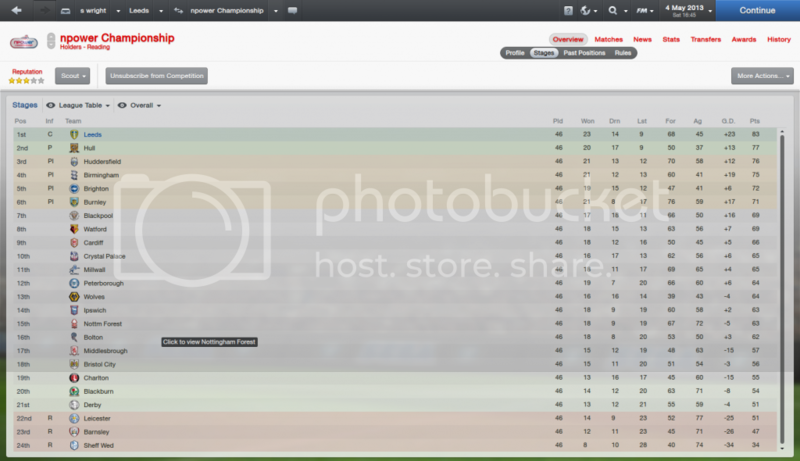 I won the Carling cup in February, so we won some silverware at least, and I finished second in the league. They won, we lost, Arsenal won the league, Leeds came second Infuriating end to the season! In the summer I'm looking to replace wuytens at CB (he's 31 now), and maybe bring in a top keeper, and another CM. Always a difficult choice, I'm facing a similar dilemma Bringing in top players will also make the wage expenditure skyrocket! Finally think I may have cracked it! Playing Parades behing Morrison just wasn't working so I have gone with two up top. Morrison playing as an advanced forward & McCormack as a poacher. Since I have switched to this my results have improved & are now up to second mid way through January. Got to play quite a bit over Easter. Having finally cracked the tactics I managed to achieve promotion finishing second behind Hull. Wolves won the play-offs. 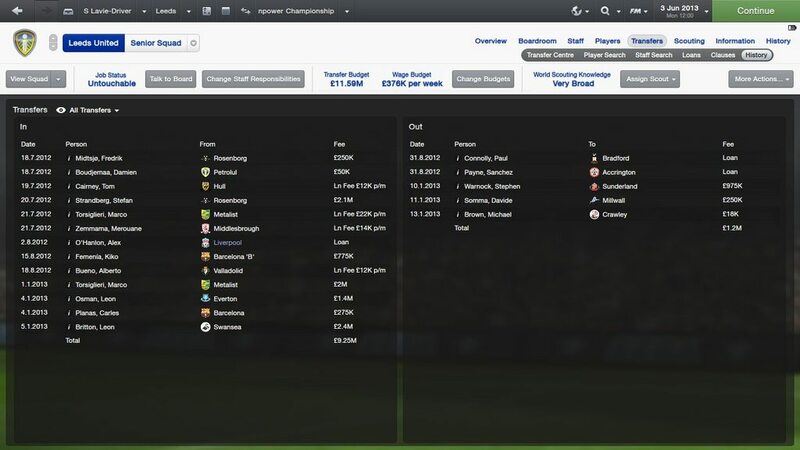 I was given about £13m I think to avoid relegation and spent the money on players on deals spread over 48 months. Diouf and Norris went out on permanent deals. Currently now in mid January and sitting 7th in the league. 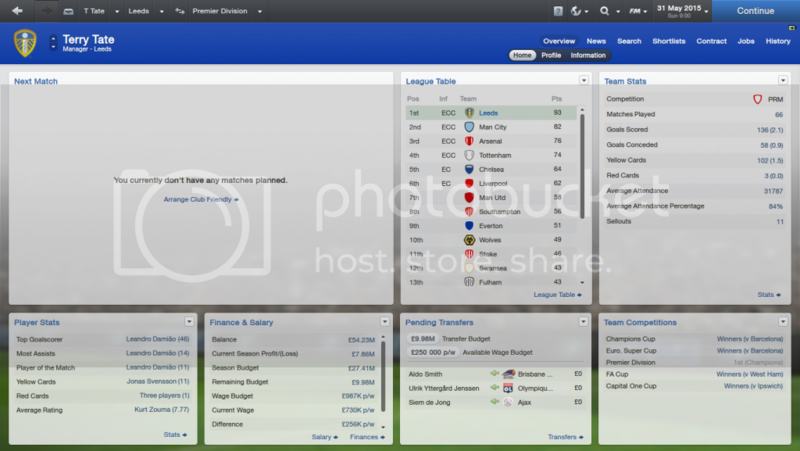 The board asked if I would like to change my season expectation, which I did & said to finish mid table. 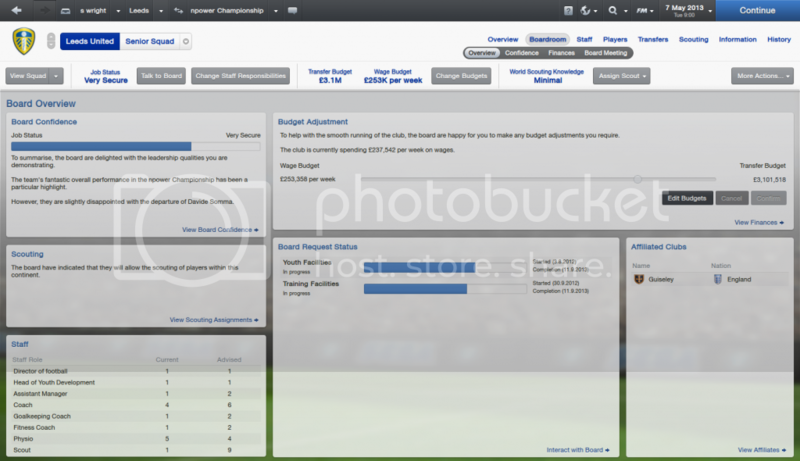 They gave me another £10m to spend, of which all went on Cabaye from Newcastle as he was on the transfer list unhappy. Absolutely fantastic signing, well done Bargain price too! Was £20m over 48 months which took all the £10m budget. I wanted to have one last longterm save with leeds my aim is to re-shape the club from top to bottom. first of all was the formation wasnt bothered as long as i got promotion.and in the end after a bit of reading i went for cleons take on a 3-1-4-2 of which there is a fantastic thread called the chalkboard diaries, in tactics and disscusions.signed a couple of players just to help get me out of the division and as you can see things went well, had a bit of a wobble december and january but on the whole i was top just about all season.so now onto season 2. I also got the board to upgrade the youth and training facilities which are due to be ready in october. plan is to get some good youth coaches in and buy a few good youngsters as well as hopefully getting one or two of my own come through the system.my aim for this season is midd table.then build from there and get us winning a few trophys. I have been trying all the tactics here and the suggestion in the tactics forum, I have tried to develop my own tactics and all I get after playing two or three months in a season is a straight loss streak. Keep it simple sherif... stop trying other peoples tactics and get yourself a simple formation... and tweak when you see in match issues... i.e, if you keep getting skinned on the wings, you need your fullbacks and wide mids to pull their weight more and defend. If you are shooting long too much, your strikers are probably too isolated and need support from your mids etc. Basically, you can't expect to just download a tactic and have it work anymore, they have to be tailored to the players you have.. However, it's only truely effective if you can get squad morale up to very good/superb (play easy friendlies in pre-season) and familiarity with the tactic at 100 % (set default general training focus to tactics and default intensity to very high until familiarity is at 100 % then reduce to average). Use opposition instructions and get your team talks right. Evening all, after a little break (and a confession to sulking as the new patch ruined my last save) I've decided to start what I hope will be my last save for this year, and I need some advice. Have shipped out Brown, Pugh & Somma and will get Tonge, Norris & Drury out on loan at least. I've signed Almeback, Paredes & Holst and am looking for a central midfield creator (Advanced Playmaker (Support)) to complete the first 11, any experience with players on the latest patch that are worth a look at ? Wow, this thread is dead nowadays isn't it? Nevermind about the backroom staff, I can't sign anybody half-decent because of the stupidly low wages the board will allow. I'll look at improving my backroom later on in the game. I figure I may as well give a game update while I'm here: I'm 10 games into the season and, after a rocky start, I've just managed to clinch 1st place from Bolton who were unbeaten until the last few games. I sold Pugh and Somma and let Brown, Austin and Pearce go (got my Director of Football to get rid) and I've brought in a few players. I'm happy with the strikers - using Morison and Varney as my main partnership, with McCormack in rotation (he's been awful though so I had a chat with him and am hoping he'll improve). I brought in Oldoni to help with rotation, he had an awful first two games but just scored 2 in the last game. I also brought in Mattheus as I couldn't say no for that price. He's good but is currently out injured for another few weeks. Torsiglieri has been a rock in defence and I signed Sergio Gomez and Carles Planas from Barca B when they became available (good call Nicko!). Byram was awful at first and Peltier wasn't much better so I signed Pantsil on a free on recommendation from my Assistant Manager. Doing better than I expected considering my squad still needs work. Playing a flat 4-4-2 tactic (using FuSS' tactic with a few tweaks - really need to make my own one of these days...) but I tend to have to shout at my team at half-time so they come back and start playing proper football. Still needs work! I suggest he tries, fails and improves his own tactic continually. Using a tactic on this game will mean he's left with no option but to download another for 14. and then 15. Plus, the game's a lot more interesting when you are able to understand its features. So window closed and season started steady rather than spectacular. 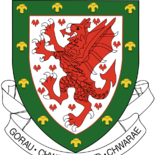 Couldn't really find any wingers I was blown away by (thanks Welshace, a few of those weren't on my game sadly) so have kept £1m in the pot in case anything pops up in the meantime. So, I made 3 signings for start. I bought Alan Tate for DC position as I felt there was need for depth there, also for 4mil euro I bought Tom Cairney from Hull who I expect to be offensive generator,and finally I brought Papa bouba Diop on free. 34 years old but I feel he can be a strong squad player for us this season. I set up a simple 4-4-2 tactic,rigid,disciplined, direct passing,float crosses + exploit the flanks,look for overlap,clear to flanks shouts..standard or counter. Just a query here, but surely you will find it hard to ''exploit'' the flank that Diouf is on? I imagine he has no pace. I presume that you would need Byram to become incredibly attacking. well, he is not fast but quite good on the ball, so he can hold it up and wait for Byram to overlap,or he could make himself some space for a cross. I'll see how it goes and change it if it won't work. 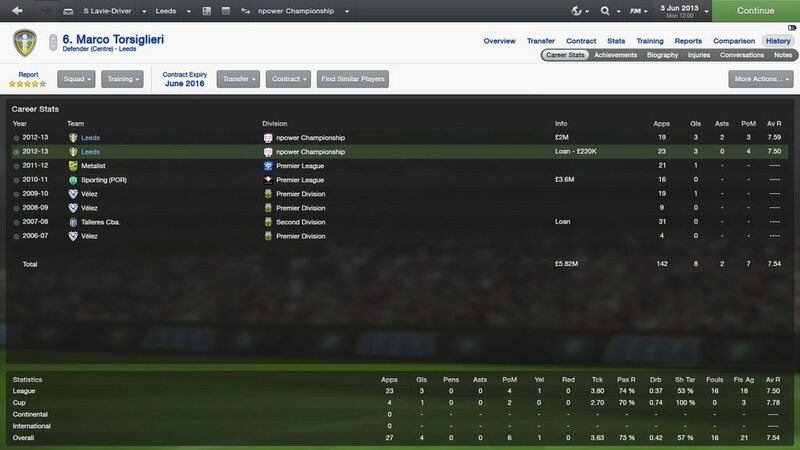 I'm now in the 2014/2015 season having managed to clinch 6th place in my first season back in the Premier League. I was thrilled with that position, though it came down to the last game of the season - still, makes things interesting! I've invested further in my squad and GFH have invested further in the facilities and I'm currently in December, sitting in 1st place in the league. Equal on points with Man City but with a game in hand - I play Huddersfield so hope to get an easy win there. I had told the board I'd be going for a top half finish and I'm not expecting to still be top by the end of the season. I'm hopeful though, the team play some really good football and, at the very least, I hope to be getting Champions League football next season. I'm in the quarter finals of the League Cup facing very weak opposition. Middlesbrough are now the best team in the cup (behind me) and I play Crystal Palace to try get to the final. Hopefully I can pick up a trophy there. 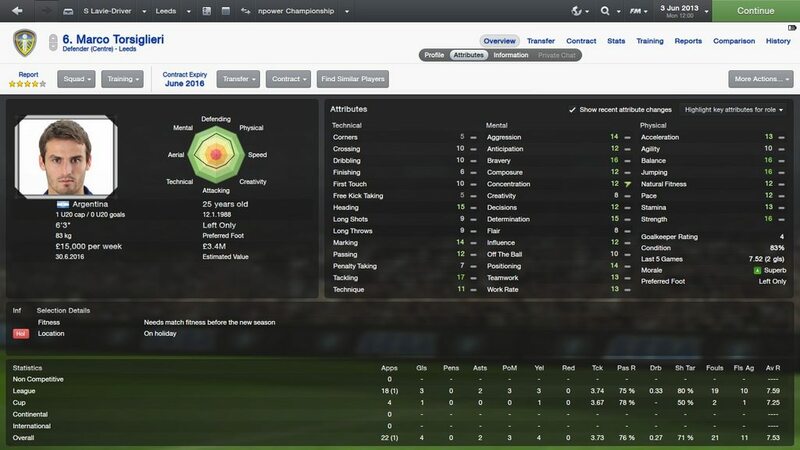 I managed to get David Ospina in as he had been bought by Chelsea but was unhappy at never getting played. Took some extended negotiations but finally got my man. 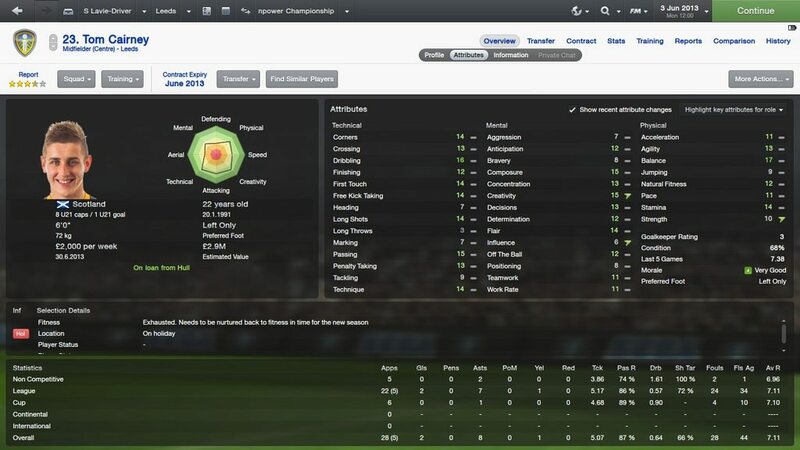 I brought McCarthy in as cover and have been playing him in some of the cups. My defence hasn't changed much since I started the game, they're all still young and they're all still getting better and better. I've managed 11 clean sheets so far this season (including the cups) which is a nice change from previous seasons. 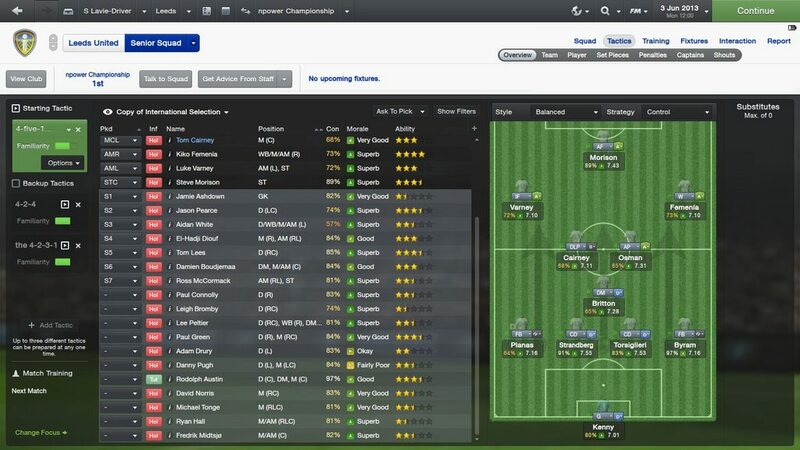 I also brought in Nathaniel Clyne and Adam Henley as they're both pacey full backs who can play LB & RB. Useful as cover since I have so many games this season! In midfield I switch Aidy White, Ryan Hall, Nathan Redmond and Agustin Allione at the LM and RM positions and have Howson, Svennson and Romero covering CM. Check Lucas Romero out, he's an incredible player and, as he's still young, gets better and better. 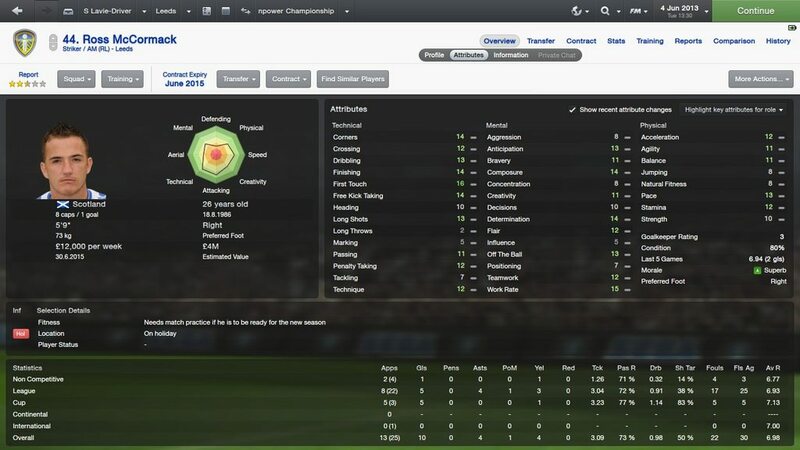 I bought him from Velez for £9.5m and he's worth every penny. I brought Carlos Fierro in last season and he has been amazing! Still improving too which is great. Morrison still gets a run out every now and then as he acts as cover. Varney is still around though I'm hoping to offload him in the January window and maybe bring in another young striker or perhaps test one of the youths who have come through the Leeds academy system. There are a couple of promising regens. I brought Rhodes at the start of the season and he and Fierro complement each other perfectly! While I was typing this, my team beat Huddersfield which puts me top of the league after 17 games with 42 points. We're doing brilliantly, won 13, drawn 3, lost 1! I still expect things to go wrong at some point but, for the moment, everything is perfect! Sadly Perez only played for 12 games before getting a long term injury, he was shaping up to look great, but had to be sent back. On a much more positive note Abrashi was brilliant, I've created a player thread about him. We all know about Paredes, I planned to retrain him as an attacking centre midfielder, will update on him later. Maloney & Albrighton were very good loan additions, but I had no intention of signing them on full time deals. Burger was brought in to provide some support to Morison, who was spectacular all year with 25 goals in 36 games. Almeback and Johansen are 2 favourites of mine, very good stats for cheap players and can 100% do a job for you. The league ended up being a bit of a precession, points record smashed. The cups went nowhere, but that wasn't the aim. So all in all a very good season, I took an age trying to find the right players and trying to make sure I didn't waste any money. It's a tweaked version of a very successful tactic on another forum (fmbase), it's a 4-1-4-1. It's been stupidly good for me, as you'll see when I post my other 2 season updates. EDIT: From memory it's called the "Rock"
I also got to the FA Cup semifinal where we lost 3-0 to Liverpool. Disappointed to not go any further as the final would have been against Hull, but we can definitely hold our heads high and winning the cup would mean getting into europe which would perhaps be detrimental to our season in the Prem so maybe it's a blessing in disguise. Merouane Zemmama's loan was canceled after he starting moaning about being backup. Alberto Bueno's was cancelled after he broke his foot in his 3rd match . Alex O'Hanlon was loaned from Liverpool after they became our parent club. The two Leons were transfer listed in January, and Carles Planas came in to replace Stephen Warnock who I didn't feel was playing well enough to justify his large wages and didn't have long left in him. Steve Morison was the main man this season. He only just missed out on the championship golden boot by a goal to Charlie Austin after Charlie scored 3 in the playoffs (which shouldn't count ). I'm not sure whether he'll be good enough to perform in the Prem and I have a few targets in mind. I do feel inclined to stick with him though as it would feel like betraying him after he played so well this year!! DL: Carles Planas is currently first choice. He played well, but his stats don't look prem quality so I may look to the market depending on who's about. Aidan White really didn't impress me this year so I'll loan him out and then maybe get a rotation player or just use Jason Pearce as backup. DC: Stefan Strandberg and Marco Torsiglieri are the first choice pairing and will continue to be next year. Their stats look great and they both performed extremely well last year. Tom Lees and Jason Pearce are good, home grown backup who can also cover at fullback so they'll be kept. No need to buy unless someone great is on the market at an alright price. DM: Leon Britton is, without a doubt, prem quality. I don't have good enough backup for him, though - Rodolph Austin isn't great and kept getting carded, so he'll be shown the door, and I'd much prefer for Strandberg to play at centreback. I'll look for backup. MC: Another area to improve with Tom Cairney returning to Hull and me preferring to play Leon Osman as attacking mid - really, it means that Damien Boudjemaa is all we have (the bad players like Michael Tonge, Ryan Hall etc will all leave without a doubt) and maybe Paul Green. AMR: Kiko Femenía played very well last year and looks prem level for sure. El Hadji Diouf is a possible candidate to leave but most likely he will stay as backup. AML: Luke Varney definitely doesn't look good enough for the prem. Interesting players such as Martin Olsson and Derk Boerrigter are available, so I'll probably replace him. AMC: with Boudjemaa and Osman, we should be fine. ST: Another signing is definitely needed even if I do stick with Morison since McCormack and Varney aren't good enough for the prem. If anyone has any good recommendations for these positions, please tell me! Oh, and my (tentative) budget for next year is £11.5m transfer, and 100k wage budget free although quite a few players will be leaving the club so that will increase. This thread seems a bit empty lately so if you're considering starting a Leeds save I'd recommend it wholeheartedly, and if you're currently doing one please post!! Its the Rock Classic , i pmed you the link. Dont know if it allowed to put it here. I was reading through this yesterday but decided not to post because my achievements were not exceptional compared to others. BUT, this morning in the first game of my third season with Leeds United Football Club we went to Old Trafford to play Manchester United Football Club, also known as the Red Devils, also known in certain quarters as the Scum, and beat them 3-0 thanks to a Tony Watt hat-trick. This woudl be a top 5 result in my time, dating back to CM Italia. Paul Green and Phil Neville came off the bench to protect the lead. I've also still got Rodolph Austin (he was injured) and Luke Varney, and Dan Atkinson and Charlie Taylor are on the bench.